21-year-old Sister Lauren Franko chats with members of the community. 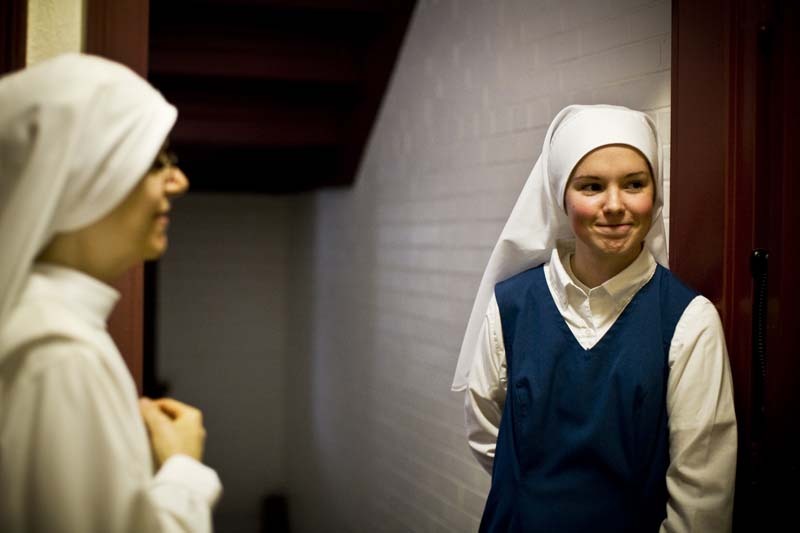 Sister Lauren entered the cloistered Monastery of Our Lady of the Rosary three weeks prior, and is dedicating her life to being a cloistered nun. She now lives a hidden life of prayer and ritual, removing herself from the outside world in order to focus on the spiritual realm, and a higher calling of praying to save all souls.